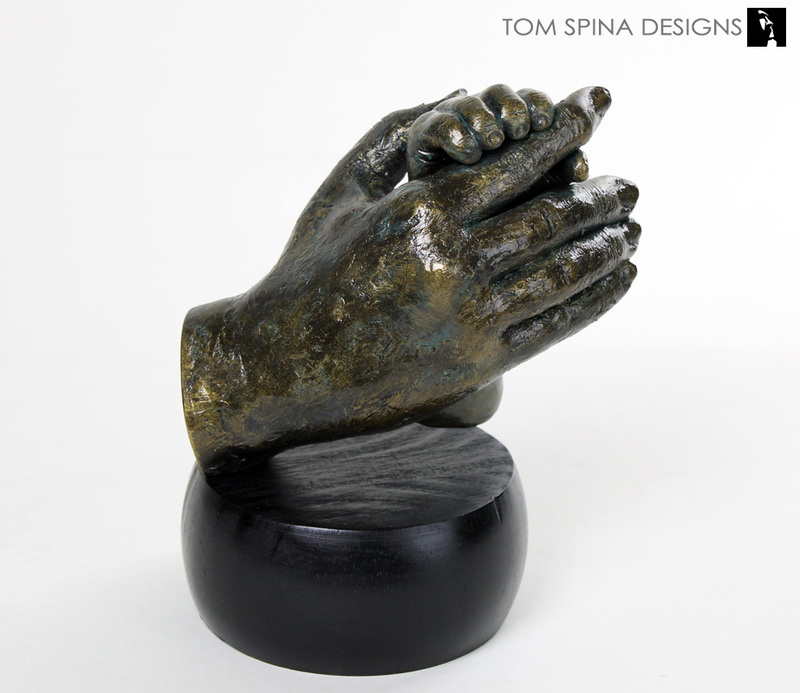 A custom bronze hand sculpture as a tribute to mommy and baby. 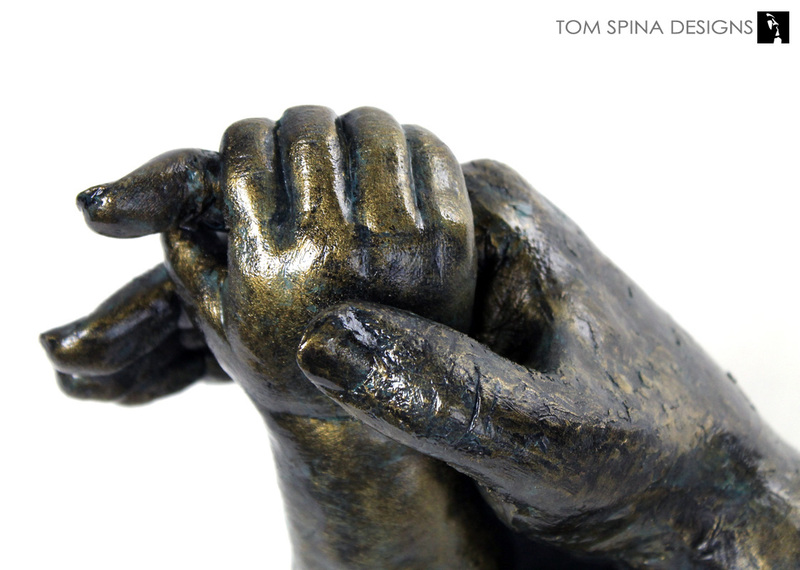 This bronze hand sculpture was created from a lovely photo of our client’s baby grasping Mom’s finger in the hospital for the first time. She asked us to create a special gift to commemorate that moment. 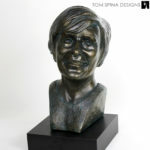 We told her we could recreate that moment in sculpture, and we created the following statue in 1:1 scale, finished with a hand layered faux bronze surface. 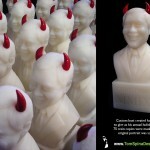 The life-sized statue was created in resin, water-based and epoxy clays by sculptors Patrick Louie and Tom Spina. 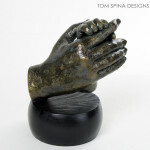 We used a mix of life casting (for Mommy’s hand) and sculpture (for Baby’s) and then molded each component for assembly in the final hand sculpture. 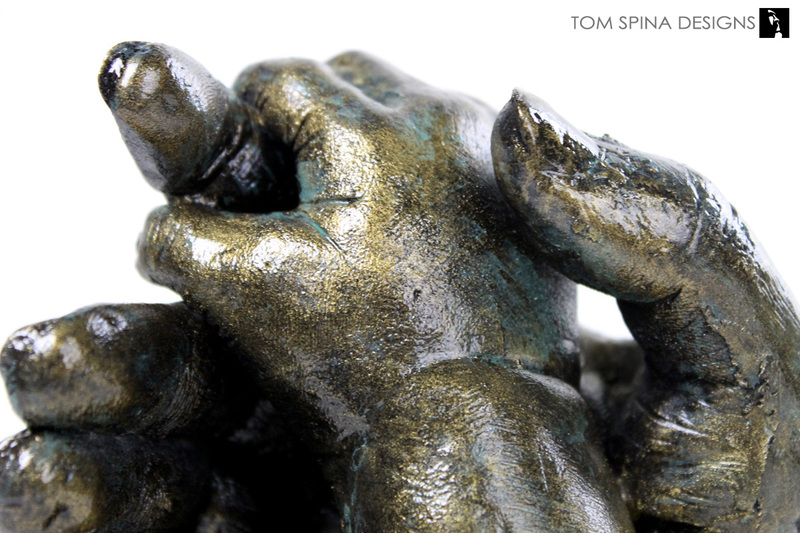 The final sculpt is made from resin, creating a final product without the added foundry costs of actual bronze. 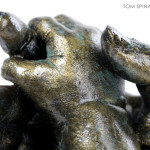 The resulting sculpture was hand painted with our special faux bronze treatment, including a patina and clear topcoat, which capture the brilliance of real bronze. 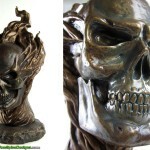 The artwork was mounted to a wood base for its ultimate display in our client’s home. 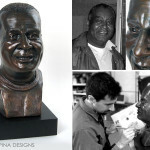 The finished piece brought tears to our client’s eyes and we’re extremely proud to have made something so meaningful! 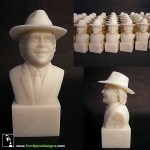 Are you looking for a unique and personal gift?